Indulging in too many sugar-sweetened foods can have undesirable side effects such as dental cavities and weight gain, so learn ways to cut down on sugar. Those excess pounds can increase your risk of developing type 2 diabetes, high blood pressure, and other serious health problems like heart attacks, so it’s best to cut back on added sugar where you can! (1) Did you know there are dozens of names (2) for added sugar on food labels, like high fructose corn syrup, sucrose, rice syrup, and more? If you are unsure of an ingredient, look it up to see what you are eating or drinking! As a parent, it’s important to model healthier eating, as your child’s eating habits often mirror your own. Cutting back on sugar is one way you show your child to make better choices for their body. According to The American Heart Association, no more than half of your daily intake of discretionary calories should be added sugars. That’s equal to no more than 6 teaspoons a day for women, and no more than 9 teaspoons a day for men. (3) To put that into perspective, a single can of Coke has 39 grams of sugar (4), that’s 150% of the daily allowance for added sugar for women and around 100% for men. (5) All that sugar in just one drink! Although you probably know that sodas and candy bars have lots of added sugars, you may not realize how many common food sources are also sneaking added sugars into our diets. Teens also get an alarming amount of sugar in their diets, greater than 15% of their calories come from sugar and it’s not all from beverages. Not sure which foods are sneaking sugars into your diet? Try spending a day revamping your home kitchen. Start by evaluating the items you have in your pantry, refrigerator, and freezer. If any of these items contain added sugar, take them out and place them on your counter or kitchen table. 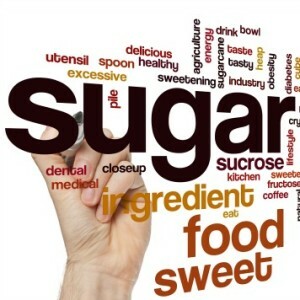 Take a moment to process how many products you have in your kitchen that are sneaking in excess sugars! For each of these items, use the suggestions below to swap for healthier, lower-sugar alternatives, or brainstorm other ways to leave that added sugar behind! From kid-friendly to adult favorites, cereals typically contain a lot of sugar. Look for products that are 100% whole-grain with at least 3g of fiber and no more than 6g of sugar per serving. It’s no secret that this sweet treat is loaded with sugar. If you can’t imagine yogurt without a crunchy topping, try muesli instead. It’s a natural blend of rolled oats, nuts and seeds, and dried fruits, with no added sugars. See this tasty muesli recipe. Ketchup, tomato sauce, barbecue sauce, teriyaki sauce, stir-fry sauces, and salad dressings are loaded with sugar. Try dressing your salads and vegetables with homemade vinaigrettes, or simply use olive oil and rice wine or balsamic vinegar. Try these 5 easy home-made salad dressings. Instead of relying on sugary condiments and sauces, season your meals with herbs and spices. Mrs. Dash, Trader Joe’s 21 Salute, or homemade herb-spice blends are great to have on hand! Check out these healthier alternative sandwich spreads, instead of reaching for ketchup. When food manufacturers create low-fat products, they often replace the removed fat with extra sugar! 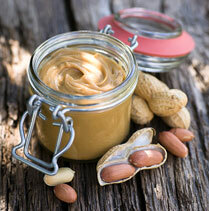 Don’t compromise; find a brand that has a balance of healthy fats, but isn’t too high in sugar. In time, you’ll love yogurt and ice cream that is naturally lower in sugar. Surprisingly, some crackers contain a lot of sugar! Even a single serving of many brands of whole grain crackers contain the same amount of sugar as a sugar cube. Wheat Thins and certain Kashi crackers can contain up to 4g of sugar per serving (6) (7) – a whole sugar cube! (8) Read the labels and choose crackers without added sugars -see cracker’ing the code. Some brands of beans have added sugar! There are plenty of brands without the sweet stuff, so be sure to read the label and choose wisely. These are really the same as gummy bears! Don’t be fooled – choose prepackaged unsweetened applesauce, fresh fruit, or a serving of dried fruit for a healthier snack. 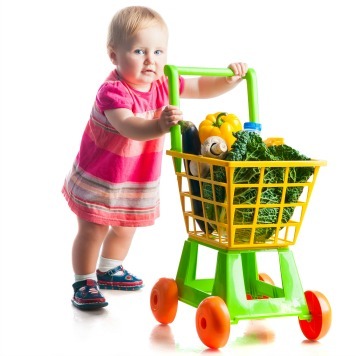 Whole foods such as these don’t have added chemicals and food dyes that do your childs’ body harm. Fruit chews are phony marketing –making you think they’re better than gummy bears! Also, beware of gummy vitamins. Vitafusion Calcium chews have 6 grams of sugar per serving. (9) Try a vitamin in pill or capsule form, or better yet, get your calcium from non-fat and low-fat dairy, spinach, kale, garlic, and plant sources high in vitamins and minerals. We’re not just talking about soda! Fruit drinks, coffee drinks, sports drinks, and energy drinks all add sugar and excess calories with little nutritional value. A study conducted by the Harvard School of Public Health showed that individuals who drink one or two SSB a day have a 25% increased risk of developing diabetes compared with those that one drink one sugary beverage or less a month. (10) Try to eliminate SSBs and focus on drinking more water. If you’re not a fan of plain water, try adding fresh fruit or herbs (like strawberries and mint, or lemon cucumber) for some added flavor! Unsweetened tea is another good option – and with all of the flavors out there, you are bound to find a flavor you like! There are many healthy ways to keep your child hydrated! These childhood favorites can be loaded with extra sugar. Choose jam and preserves over jelly, since they contain pieces of fruit, rather than just juice. Look for 100% fruit or no-sugar-added varieties for an even healthier choice. In place of p.b. & j –try slices of fruit on top of nut butter. Just because products like honey, maple syrup, and agave are natural, doesn’t mean that their sugar content is any healthier. Watch your portions and use sparingly. Make sure your healthy habits last by teaching your family how marketers advertise and influence kids to make poor health choices. Discuss how these advertisements make it more difficult for parents to succeed at creating healthy family habits, and why it is important to make your own informed health choices. Make a plan with your family to take steps to stop companies from marketing to kids. Teach your kids to advocate for their own health right from the start!